Drawing experts from across the globe, the International Conference on Moenjodaro and Indus Valley Civilisation kicked off Thursday morning near the archaeological site. The three-day conference was hosted at a venue near the ruins of the historic city of Moenjodaro. The last time an event on the historic site of this scale took place was in the 1970s under former prime minister Zulfikar Ali Bhutto's leadership, the audience at the commencement ceremony was informed. Read more: What controversies surround the Indus Valley Civilisation? Sindh Chief Minister Syed Murad Ali Shah, the guest of honour at the conference, said that Bhutto "put Moenjodaro on the international map". He also said the incumbent government will fund and facilitate experts with whatever research work they need to conduct about the archaeological site. 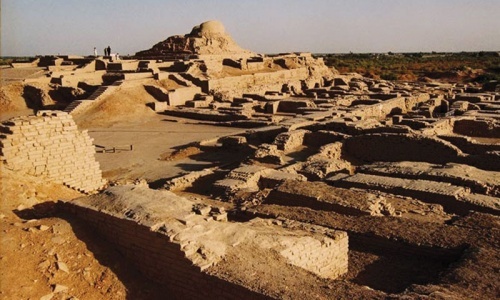 Renowned archaeologist and former secretary of the Sindh Department of Antiquities, Dr Kaleemullah Lashari, said in his keynote address that mass excavation of the site is needed to unearth and discover how the people of the Indus civilisation disposed off their dead. "We haven't found any cemetery at Moenjodaro yet. We still need to establish whether the natives buried their dead," Lashari said, adding that if further research and excavation is thoroughly funded, Moenjodaro could be established as the largest site from the Bronze Age in the world. The keynote speaker, known for his pioneering work on stone-carved graves, further pointed out that "the looting of antiquities is a menace", resulting in a loss of precious artefacts. "The government needs to implement tougher measures to curtail this practice," Lashari added, saying lawmakers need to formulate effective policies to curb the "smuggling" of antiquities and artefacts. 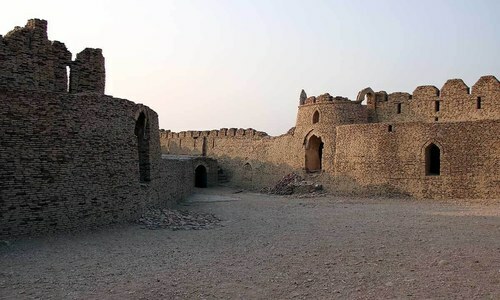 United Nations Educational Scientific and Cultural Organization (Unesco) Pakistan Director Vibeke Jensen reiterated the significance of Moenjodaro, saying the heritage site was once "the metropolis of the Indus Valley Civilisation". 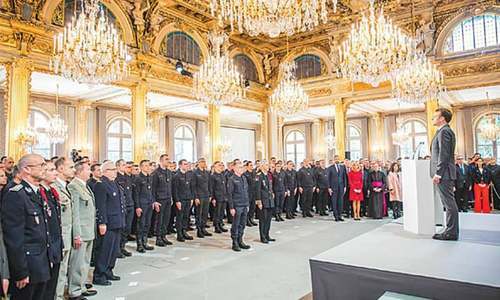 "It is now our responsibility to protect it," she added, informing the audience about the vulnerability of the site left at the peril of unsupervised "human activity". The site infrastructure also needs to be restored, Jensen said as she appreciated the "renewed interest" of the provincial government in the heritage site. "The more people learn about the ancient civilisation, the more they'll do to preserve it," the Unesco director said. "We need to invite local investors and turn this place into a tourist site," Jensen said, adding that if the ruins are given due attention and care, it could become "the most sought-after" tourist spot among foreigners. The Unesco directer also added that the youth needs to be educated about the site and the ancient civilisation that inhabited it. "We need to devise plans so students can come here to learn," she said, adding that the place could also become a popular attraction for families where they could relax while absorbing the rich history of the land. Various other sessions were scheduled for the day, and several research papers were also to be presented in the conference. PPP's provincial president Nisar Ahmed Khuhro and the Sindh Minister for Culture Syed Sardar Ali Shah were among those attending the conference. What controversies surround the Indus Valley Civilisation? Good work. Such things should happen more often. The modern descendants of Bronze Age Mohenjo Daro (Indus Valley Civilisation) people now live in South-India, Bengal. Any archaeologist/ researcher from India, Sri-Lanka, Bangladesh attending the three-day International Conference on Moenjodaro and Indus Valley Civilisation at the city of Moenjodaro ? Good work. Need to tap all opportunities to get connected internationally without losing our core values. We assume that Indian civilization and Chinese civilization each can be traced back 8,000 years. These people were neolithic. Mesopotamian, Turkish and Egyptian and Indus civilizations began to thrivonly 4000 years ago. These civilizations produced food in abundance. China rice. The Middle East wheat. The Americas corn. People stopped hunting and fishing and gathering roots, berries, and vegetation along sea coasts and rivers to grow their own food. By 6000 BCE large permanent villages appeared and people progressed from simple tool making and spear making to casting iron tools and weapons. In 1,500 BCE Celtic people near Prague were casting in bronze. That technology spread across the world. Sharper swords and armor were produced in to protect land. By 700 AD the Germans and Vikings were mass producing high quality long swords from large iron and coal deposits. Damascus steel was produced 300 years later. Food and weapons meant survival and wars drives technology. It is good at last Pakistanis are realising their roots. Great news to have archaeological interest. @M. Emad, dear, what made you say that The modern descendants of Bronze Age Mohenjo Daro (Indus Valley Civilisation) people now live in South-India, Bengal. as it has not been ascertained the reasons of their destruction even! @lost cause, at least pakistanis are taking steps in this direction. When will indians stop thinking muslim rulers as 'foreign invaders' and consider slave dynasty, mughal empire and other muslim dynasties who ruled different parts of india for centuries as indian? After all, many of these came from afghanistan whom many indians consider a part of larger indian cultural sphere hence they are technically not that foreign plus they came from afghanistan/central asia but made india their permanent home and the present day south asian culture (languages,clothing, cuisine) is the direct result of their rule on india. @M. Emad what is the proof that south Indians and Bengalis are the descendants of the earlier Mohenjo-Daro civilization. Interestingly no graves have been found there. If they are found and with bone samples DNA testing can be done to prove it. Where was UNESCO when this site was being destroyed during a fashion and music show?